The Smith Cove Cruise Terminal - Pier 91 - is located at the north end of Seattle's waterfront, just 10 minutes from the city's retail core and famous Space Needle. Smith Cove is home to: - Carnival - Celebrity Cruises - Holland America - Princess Cruises - Royal Caribbean International Passenger Amenities*: - Cruise terminal concierge offers luggage storage before and after cruises, plus city information. - Rental car kiosk. - 1,000 secure parking spaces with complimentary shuttle to terminal. - Cell phone lot for convenient passenger pickup. - Oversize vehicles and RVs welcome. 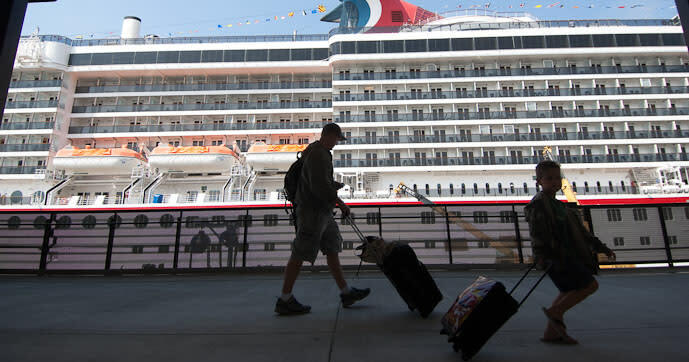 *Note: Check with your cruise line for availability of onboard airline check-in and luggage handling that allows guests to check in for their airline flight, print boarding passes and check their luggage onboard the ship.